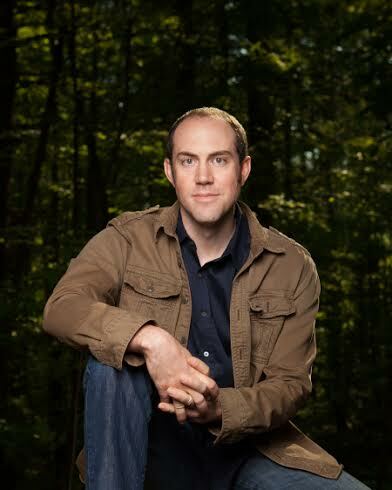 Guest Post: “The Unforgiving Net; the Horror of Publication” by Brian Staveley + GIVEAWAY! Today, the BiblioSanctum is pleased and excited to welcome back Brian Staveley, author of the epic fantasy series The Chronicle of the Unhewn Throne! The eagerly anticipated third and final book The Last Mortal Bond is out this week from Tor Books, and in case you missed my review, the ending was everything I wanted and more. Now that the series has concluded, we’ve invite Brian over to talk a little about the constantly evolving process behind writing a trilogy, as well as the overall changes in his creative journey which first began with the publication of The Emperor’s Blades. It’s a fascinating read and I hope you’ll enjoy! When I was teaching creative writing, I used to require my students to write their first stories of the year longhand. Then, when they handed them in, I would bring the entire class outside, gather us around a 50-gallon steel trash drum, rip up the stories—still unread—then burn them. My point was that, although everyone talks about the creative part of writing, destruction is just as important. Effective writing requires the constant burning of crappy sentences and paragraphs, the razing of false starts, the ruthless abandonment of dead ends. It took me years to really get the hang of this, to happily consign entire chapters to the dust bin. I ended up throwing out a whole book worth of material—100,000 words—about a character who never appears in the trilogy; and I was ok with that. Then, just when I’d started to master this sort of artistic detachment, a cruel thing happened: Tor published my first book. Cause for celebration, of course, but also for a kind of slow, creeping horror. Until the moment The Emperor’s Blades went into print, the story was absolutely and entirely my own. If I wanted to change a name, I could change it. If I had an idea five hundred pages in, I could go back and retrofit the first four hundred ninety-nine. I made full use of this freedom right up until publication, changing the gender of a major character at the last moment, rewriting a full plot line, adding fantastical elements I planned to use later. And then the book was finished, ineluctably and forever fixed. The publication of the first book in a trilogy changes the game. Every act of writing becomes a negotiation between the story that already exists, bound between the covers, and the unwritten story still gestating in the brain. When you publish that first book, you sacrifice, at least in part, the ability to change your mind. You are tied, for the rest of the series, to a set of decisions made months or years earlier. It’s like getting married and finding yourself required to live by the letter and spirit of love letters penned a decade earlier. On the one hand, how lovely; on the other, how terrifying! Writing the third book in the series with the brute fact of the first two looming over me like ill-humored jailors proved an unexpected challenge. I can’t count the number of times I wanted to go back, make a change, set things up differently, but no dice… Burning your own work is all well and good, but I’d have to do some pretty extensive travelling to hunt down all the copies of Blades and Providence scattered over fifty states and a dozen countries. I needed to develop a different set of emotional skills. To my surprise, I found myself looking back to the years I spent writing poetry. As an undergrad and in graduate school, I was always attracted by formal constraint. I liked writing sonnets and couplets. I wrote a long poem in Dante’s terza rima. I spent ages translating Francois Villon, whose ballades are among the most fiendish forms imaginable. The joy of working inside established form springs, of course, not from the rules themselves so much as the ingenuity those rules require of a writer. Robert Frost thought writing free verse was like playing tennis with no net; the limitations are the very occasion for the player’s genius. No net, no Federer. Of course, there are no sestinas or villanelles in epic fantasy, but I found myself looking at the constraints posed by my first two published books in the same way a tennis player looks as the unalterable lines painted on the clay court, that unforgiving net; they became opportunities. In fact, they were the very definition of the game itself. And it worked. I found myself—as I worked through The Last Mortal Bond—reaching for approaches, developing skills, finding solutions that I would never have otherwise considered. Burning one’s work is crucial, but when any significant obstacle or mistake can be simply burned or erased, it’s easy to get complacent. My own earlier books were significant foes, but grappling with them made me stronger. After teaching literature, philosophy, history, and religion for more than a decade, Brian began writing epic fantasy. His first book, The Emperor’s Blades, the start of his series, Chronicle of the Unhewn Throne, won the David Gemmell Morningstar Award, the Reddit Stabby for best debut, and scored semi-finalist spots in the Goodreads Choice Awards in two categories: epic fantasy and debut. 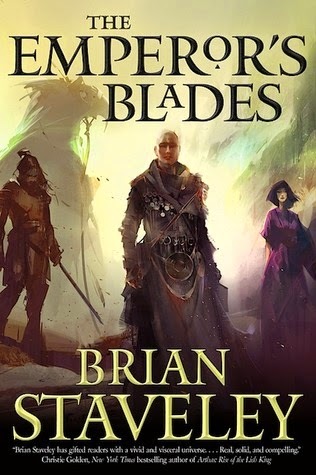 The first seven chapters can be had for free here: http://www.tor.com/blogs/2013/11/read-the-emperors-blades-by-brian-staveley. 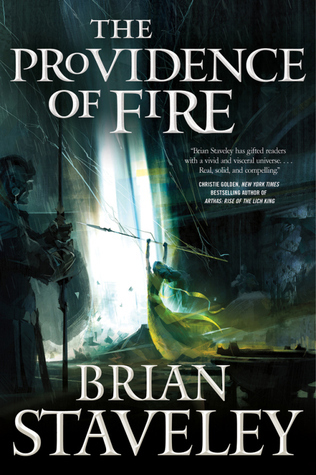 The second book in the trilogy, The Providence of Fire, was also a Goodreads Choice semi-finalist. 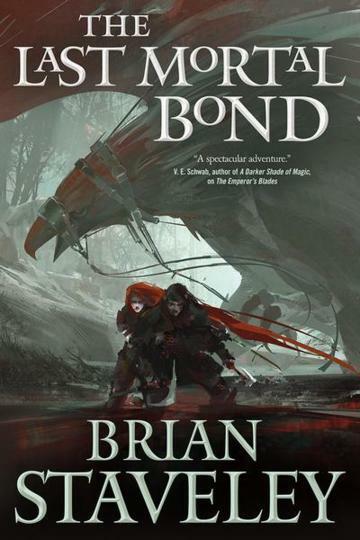 The concluding volume of the trilogy, The Last Mortal Bond, is available for preorder now. Brian lives on a steep dirt road in the mountains of southern Vermont, where he divides his time between fathering, writing, husbanding, splitting wood, skiing, and adventuring, not necessarily in that order. He can be found on twitter at @brianstaveley, facebook as brianstaveley, and Google+ as Brian Staveley. His blog, On the Writing of Epic Fantasy, can be found at: bstaveley.wordpress.com. Because I am such a fan of this series, I would like to share the love, and I have a copy of The Last Mortal Bond that I would love to send to you! Due to high shipping costs, I can only open this giveaway to residents in the US, with sincere apologies to our international readers. To enter, all you have to do is send an email to bibliosanctum@gmail.com with your Name and valid Mailing Address using the subject line “THE LAST MORTAL BOND” by 11:59pm Eastern time on Sunday, March 27, 2016. I need to know what happens! I love reading Staveley’s guests post. Always very funny, and very insightful.